Accommodation in London, Greater London. 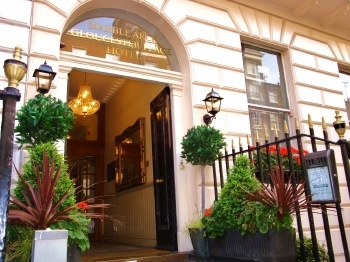 the marble arch - gloucester place hotel is a georgian bed and breakfast hotel in central london with a wide choice of comfortable spacious and well equipped en-suite bedrooms. situated in an ideal location; close to central london's most famous sites such as oxford street, marble arch, hyde park, piccadilly circus, london's west end theatre land. it is a perfect venue for all types of business, shopping and leisure trips. we are also amongst the renowned family bed & breakfast and budget hotels in central london, offering good value and cheap hotel accommodation in london, with clean, tidy and cosy rooms in a relaxed and welcoming atmosphere with modern comforts. many rooms have recently been renovated ensuring that your stay is pleasant and enjoyable. the hotel is also located next to the main airport bus stop and several underground stations serving all of london's major destinations, and within easy reach of kings cross st.pancras eurostar station. our main objective throughout our long experience has been to provide all guests the best possible service.